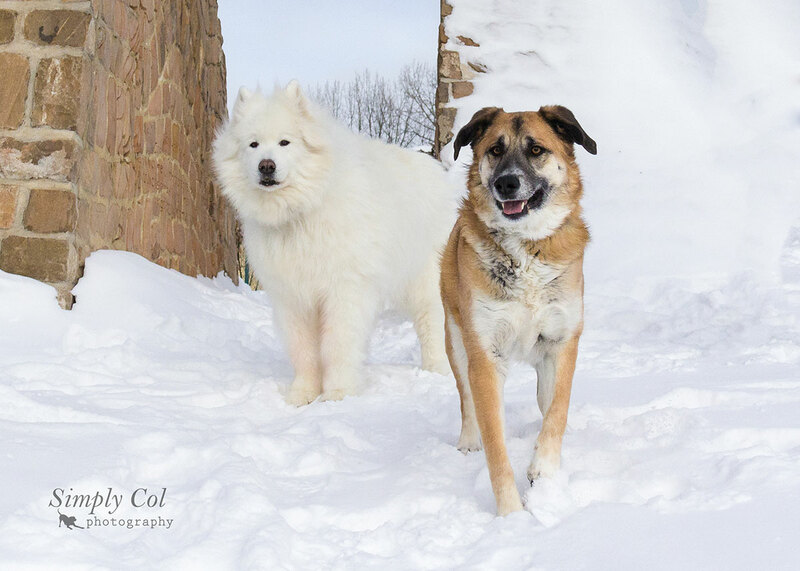 This week I got to photograph Bear and Jack… a special session in so many ways. Rhonda, their mom, is a dear friend and Jack is literally the face that launched my current photographic journey. I remember the day well… it was an unseasonably warm October day in 2010. 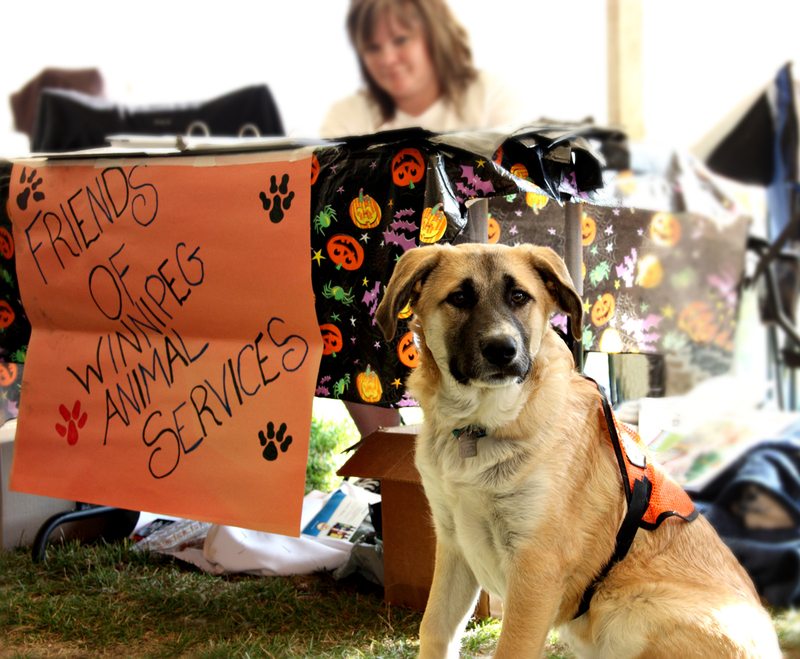 I was aimlessly strolling an adoption event at The Forks, camera in-hand, checking out the various booths when I spotted him… a five month old St. Bernard cross pup sitting quietly beside a table baring the Winnipeg Animal Services banner. His calm nature in the midst of all the commotion had me take note. I knelt down, gave his ears a scratch, snapped his photo and left hoping with all my heart that his search to find the perfect home would be a quick one. 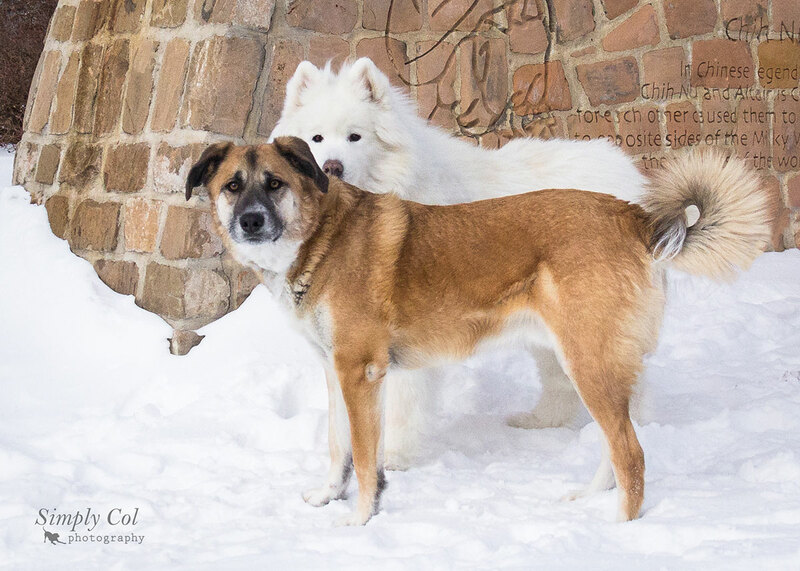 The next day I decided to share the photo with Animal Services on their Friends of Animal Services facebook page. Coincidentally my friend Rhonda saw the photo. 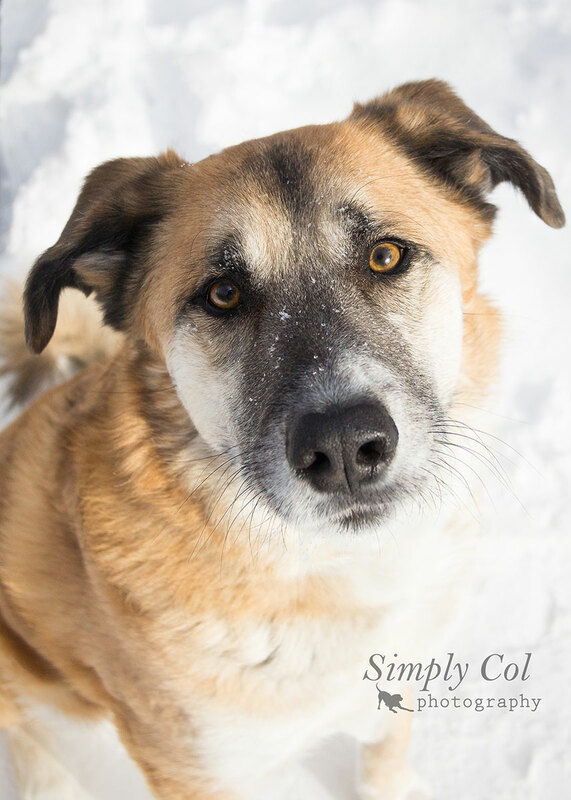 Two great things came out of this… Rhonda adopted this beautiful boy, naming him Jack, and Animal Services contacted me to see if I would like to photograph the dogs in their adoption program. Both Jack and I started down new paths that day… each in the best unexpected way. Now here we are almost five years later… once more meeting up at “The Forks”. 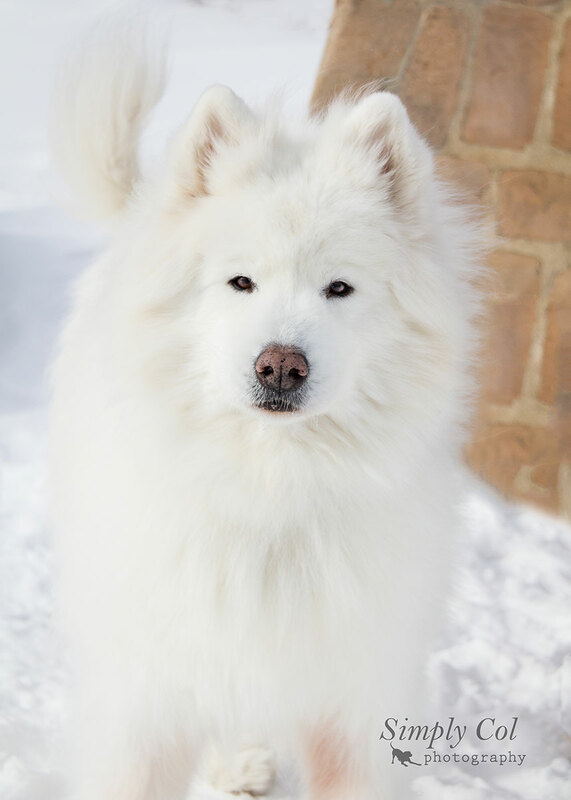 Jack has grown into a most handsome boy, sharing the good life with his canine sibling, Bear… the biggest, fluffiest Samoyed I have ever met. The day was cold and the venue was bustling with the spillover from the Festival du Voyageur. We had a marvelous, fun time… walking, talking and gathering memories. Thank you Rhonda for this day. 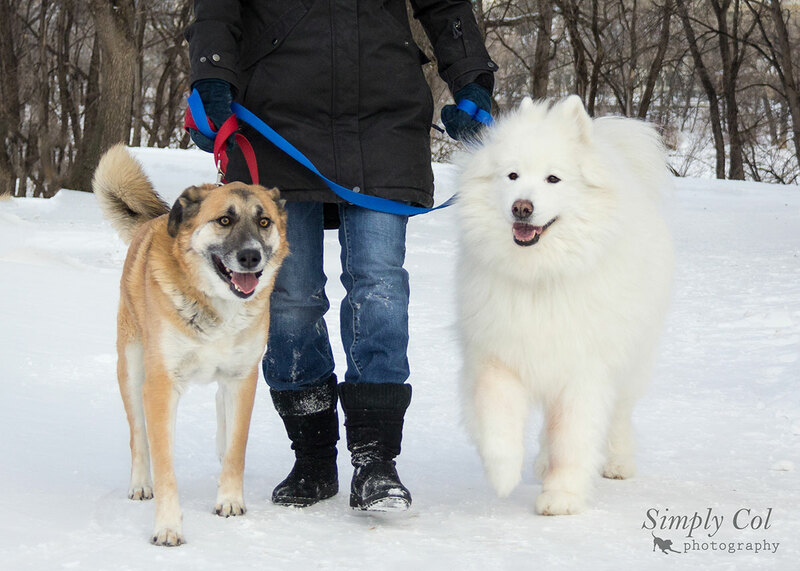 Love your doggies. Hope to see you all again very soon.